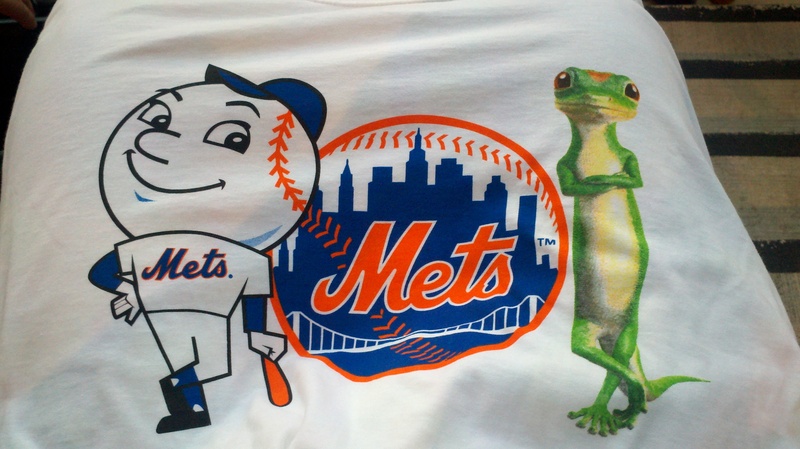 This is the shirt they gave away, featuring Mr. Met and, uh, I’m not good with faces… Kinda looks like Derek Bell? I finally got to attend a Nationals-Mets game that the Nationals won. How weird is it that I had to use the word finally? That’s like going to the mall and then leaving and saying, “I finally got to go to the mall without being attacked by a giraffe.” It’s not something you would’ve expected to happen multiple times before, much like the Mets beating the Nats, but somehow it did. 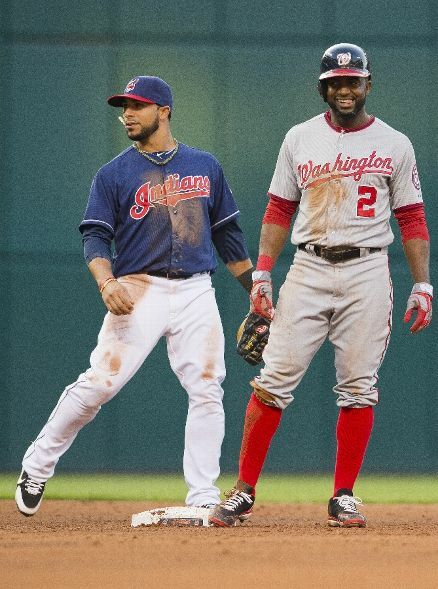 For a while though, it looked like the Nationals would greatly disappoint me again. Through 7 innings, Ian Desmond was the only one who had done anything good. If the rest of our team was made up of quadruple amputees, this would be acceptable. 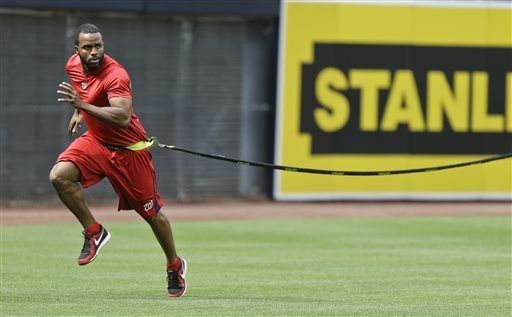 But since the team is not all quadruple amputees, Desmond being to only one to succeed is frustrating. Thankfully the Mets “Metsed,” and had a terrific collapse that allowed the Nats to come out on top. 2 hits is not enough to achieve success in Cleveland. Every Rock & Roll Hall of Fame inductee has way more than that. Although if it’s standards shrink like the MLB HOF, and they start allowing in one-hit wonders down the line, then maybe the Nationals offense will get the call. But just because you’re depressed about something does not mean you should stop hitting! If anything, adding that toaster to your bathtub should electrify your bat. Every day when I go to work I experience a bit of midday exhaustion. Sitting in front of a computer can be pretty draining, so after about 5 hours my eyes feel heavy and I begin to crash. That being said, when I start getting tired, I do not break every computer in the office and burn it to the ground. 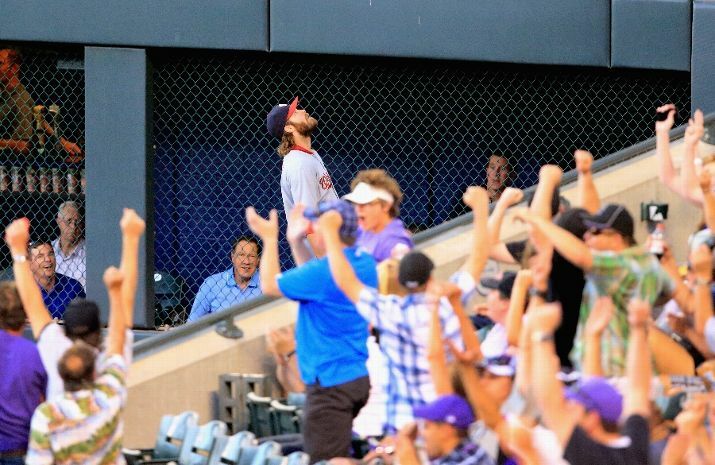 Dan Haren has a different approach of how to react to a midday crash at work. An approach that is arguably worse than burning an office building to the ground resulting in the death of dozens of employees: ALLOWING TWO HOME RUNS AND SUCKING IN GENERAL. It had been over 40 years since the Minnesota franchise played in their once hometown of Washington. It was 1971, when they lost to the Senators 5-2. Warren Magnuson had an RBI double, and Karl Mundt went 6 shutout innings. But those Senators are long dead, as is the thought of a Washington baseball team winning a game. However I suppose the Nats had a chance, as this Twins team’s chances for success aren’t looking very attractive this season. They’re so unattractive in fact, that they don’t inspire any sort of sexual fantasy involving these Twins. Maybe it’s the fact that instead of two attractive women its 25 men, and that’s what’s making me feel that way. But then again, I got off countless times to the thought of the ’94 Expos, who, to my knowledge, were 25 men as well. Although I wouldn’t be surprised to find out Larry Walker is just a very butch woman. A win over the Braves. Nothing bad about this game. Everything is all good. I’m sorry, I must be delusional from all the blood loss I’ve experienced from cutting my wrists open after Strasburg left the game early. Well no worries. This magical unicorn doctor will fix that. Won’t you, Dr. Trinket? No? You’re actually my kitchen table? Ok then, I’ll try to compose myself. Now my gut reaction to this injury was bad. Since I also tried to commit seppuku out of depression, and my guts spilled everywhere. But since the injury has happened, we’ve learned some things. Strasburg won’t go on the DL yet, and it’s turned out to be a grade one lat strain, which is somewhat good news. Grade one is better than other grades in terms of severity, and also you’re still young enough that your teacher might bring in juice boxes from everyone. Hopefully Stras can recover so we can turn this team back into the middling .500 club that it deserves to be. 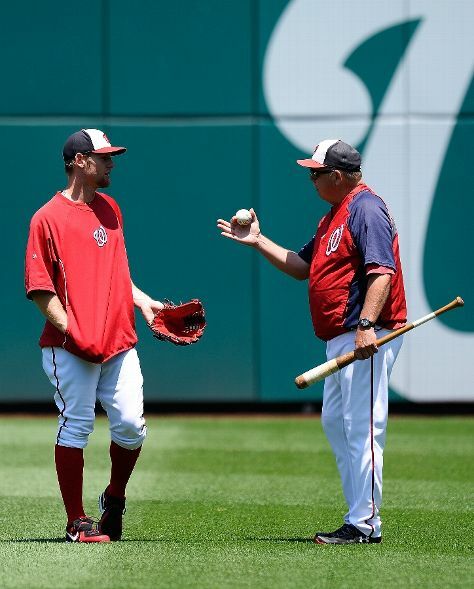 Davey Johnson vowed to not shave his facial hair until the Nationals bats started hitting. I’m uncertain if this is some luck-based initiative, or if his kids stopped paying the night nurse and just left him on his own. Either way, I’m torn. For one, I like the Nationals hitting. 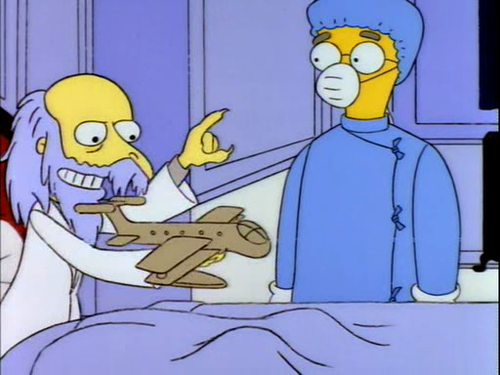 But on the other hand, I like the idea of having a guy who looks like a germ-fearing Mr. Burns managing our team. Oh, Zach Duke. I’m not mad. I’m just…disappointed. We dedicated a whole week to you this offseason. We did our best to make you feel welcomed and loved in the Nationals family. We took you in off the streets, despite your filthy, mangy hair and rabid foaming mouth. We bathed you, fed you, clothed you, neutered you. We gave you everything we had to give. And this…this is how you repay us? 4 ER in 3 IP? How could you be so ungrateful? I will not strike you, Zach Duke. I will not even raise my voice. Stephen Strasburg dominated the Padres on Thursday night, going 8 innings and allowing just 1 earned run. 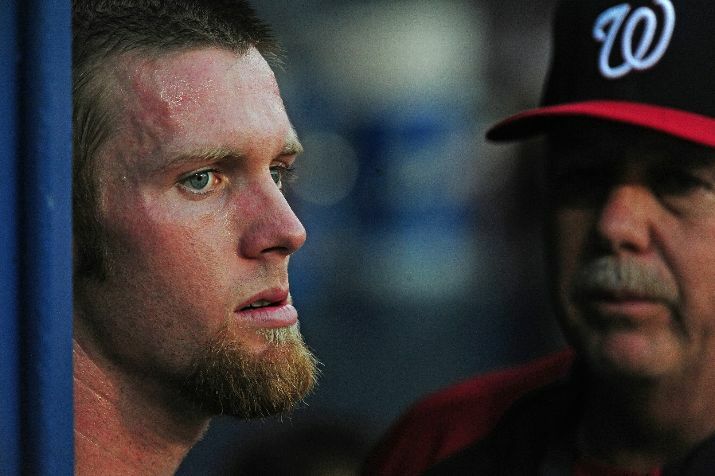 With a rough start to the season, Strasburg hopefully turned things around with his tremendous performance. What changed for him? Well, San Diego is where he’s from. And apparently that means a great deal for his comfort. He was quoted as saying, “It’s easy pitching in front of a lot of loved ones.” Understandable. But I have a question Stephen. There are a lot of players who are really good at baseball, though not many with Harper’s potential for greatness. But the art of self-inflicted head trauma seems to be dying out in modern baseball. Players these days are just too concerned with preserving the integrity of their skulls, and not enough with adhering to the time-honored tradition of causing blood to pour out of their faces by hitting them really hard with solid objects. It’s sad, really. 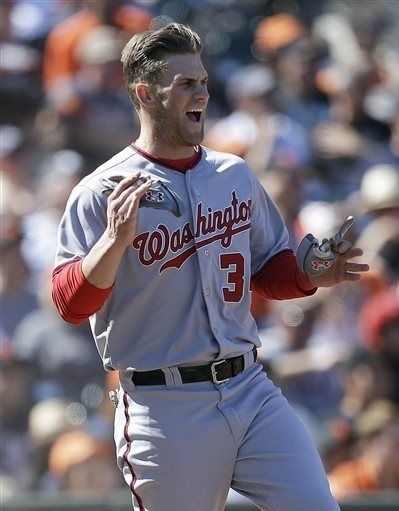 But Bryce Harper gets it. He knows that baseball is about more than just hitting home runs, running fast, and playing great defense. It’s also about doing things that could potentially cause severe damage to the most sensitive part of the body. Let’s hope some of the other Nationals start following Bryce’s heroic example and mutilate their own faces as soon as possible. This is Ian Desmond’s world and we’re all just living in it. Which explains the amount of accidental gunshot deaths in the news recently. A lot of people are committing stupid errors. But today there were no accidental gunshot deaths, or even worse, throwing errors for Desmond. 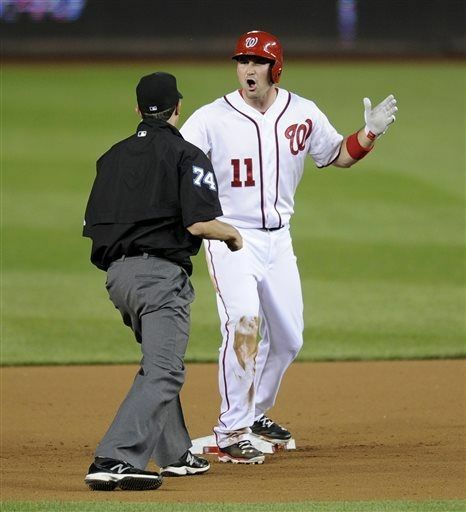 Instead he put on a fantastic offensive performance that powered the Nationals to victory. With a home run, a double, and a single, Desmond managed 7 bases while seeing just 6 pitches. So he was a lot more patient than usual. All in all, I’m very happy with Desmond at the moment. In fact, I’m going to order an Ian Desmond jersey right now. Why does this jersey have the number 6 on the back? That’s his old number! Gah, what a stupid error. Didn’t you get the memo MLB shop? We’re not doing that for Desmond anymore! Mike Rizzo Extended, Promoted, Why?